Probate Auction! This Probate Sale is now subject to Court Confirmation and Overbid. Asking price is the first minimum overbid at court. If interested, you may attend the court confirmation hearing to submit a bid. The court date is Friday, April 19th, 2019 at 8:30 AM Dept 5. The property is offered "as-is". No financing contingencies. No Sale prior to court date. All other Terms and Conditions will still apply. See private remarks.++G++G+-. 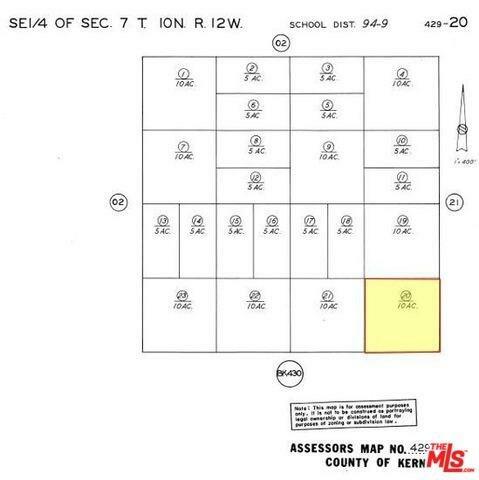 This unimproved parcel is located in Kern County in the Mojave area and is +/- 5 Acres. The zoning is A-1. (Bidders to verify zoning and future use) The APN is 429-200-18.